When your child needs to use crutches, it is best to have your child fitted before buying. It is also advisable to have a health care provider to rain your child how to use it. Crutches for kids are not toys but a special tool with a special use. Many special store and online sites offer crutches for kids but be sure to have a physician to help you order it for you. This will save you from buying inappropriate crutches that in the event may pose dangers to your child. However, ordering your child’s crutches can also be done by you if you know how to get the correct measurement. Here are some things to bear in mind when taking your kid’s crutches measurement. Have the peak of the crutch at least 2 fingers width deep measuring starts in the armpit. Hence, consider the shoulders to be relaxed when taking the measurement. Make sure; if the arm is hanged straightly downward, the hand part has to be leveled with the wrist. Measure the length of the crutch by holding its top side connecting the chest and the upper internal part of the arm. This will help lessen pressure, which may result in damaged blood vessels and nerves. Hand rest must be padded and supports the weight when hands are on it. The top of the crutches should not push up to the armpit. Have your child stand straight as to measure the length from the chest down. If your child is suffering from a temporary disability or a permanent disability due to an injury that was caused in an accident, you may look forward to the use of crutches for kids. 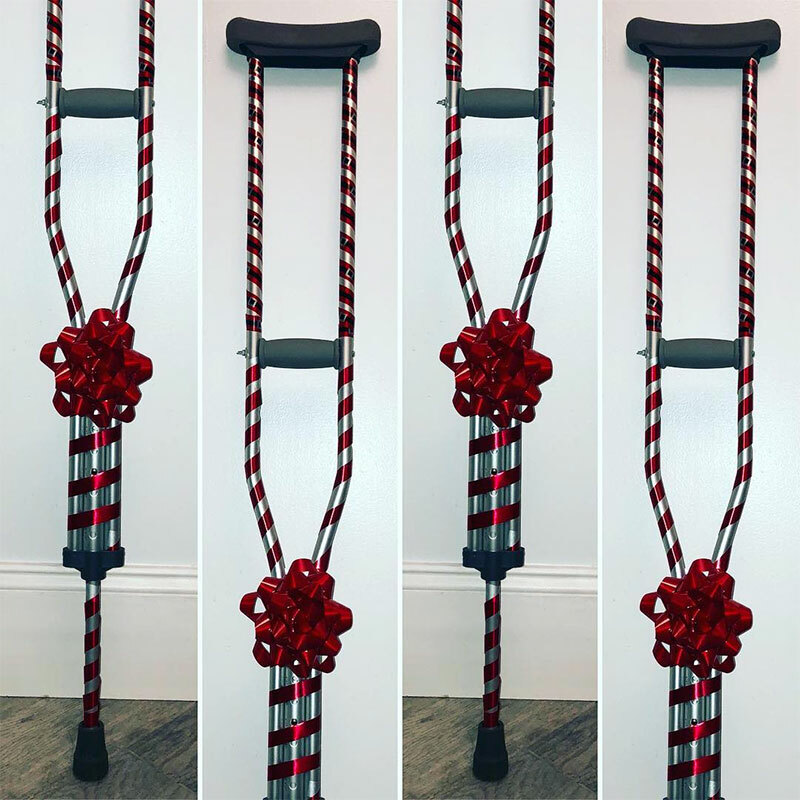 A crutch is defined as a medical aid that is provided to a patient who is suffering from temporary or permanent disability below the waistline. There are different models of crutches, and every patient is assigned a particular model depending on the level of injury and the time it is expected for the recovery. There are many companies that are manufacturing various models of walking crutches providing the opportunity for patients to walk without the need of human assistance. In order to find out the best available crutches, you are required to carry out a small research which will help you to find complete information about different products that are currently available in the market. Crutches for kids are available in different models and different sizes under the category of forearm crutches and underarm crutches. Underarm crutches can be utilized if the disabilities are temporary and the time required to recover is short. Forearm crutches are provided for those who are suffering from permanent disabilities. Underarm crutches are most preferable as they contain pads for crutches at the topmost position of the crutch that supports the rib cage of the patient. These pads are made of different crutch cushions in order to provide varying levels of comfort. 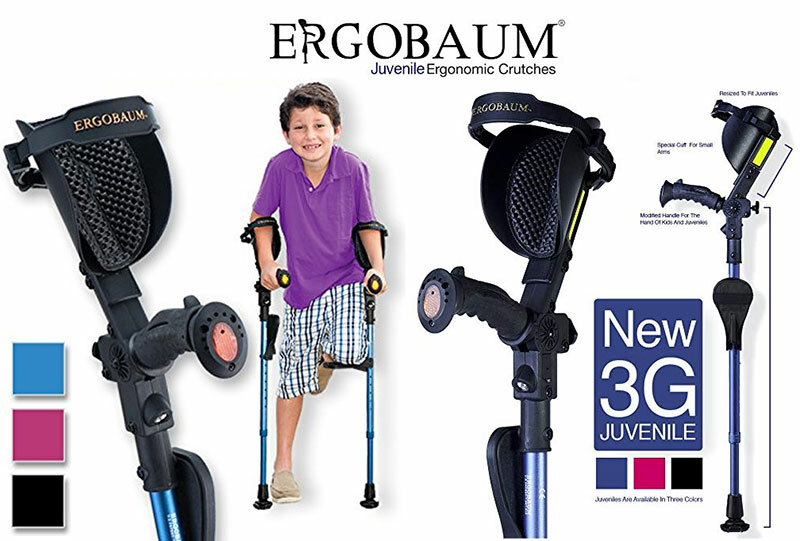 It is very important to consider the level of comfort while choosing crutches for kids. As there are many companies present in the market, one will have to research in order to understand in detail about the specifications of every model so that you will be in a position to choose the best available product for your child. You can also consider reviews that are provided by different users about a particular product from a particular company. This will help you to understand the flexibility of particular crutches that are offered to the child during their walking style. 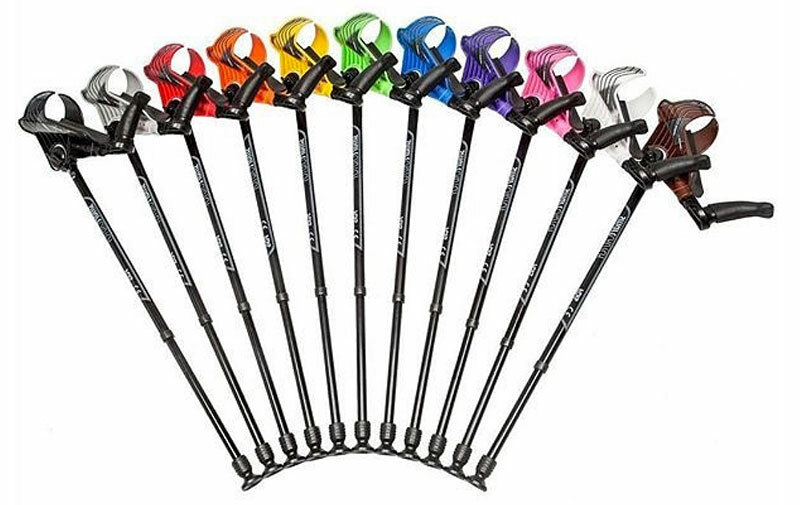 You can also look out for crutches accessories which will completely enhance the level of comfort it provides during walking. There are different stores that are available in the locality which offer a wide range of products that are specially designed for crutches for kids. As there are different sizes available in crutches for kids, one will have to check thoroughly whether a particular model will offer the best comforts to your child or not. This can only be sensed after the child for whom the crutches are being selected, tests every model. Though this can be a time-consuming process, it is necessary that one understand in detail about the model of the crutches that will provide the highest comfort to your child. Learning the advantages will be useful, and one can look out for the same over the Internet. Different websites and blogs provide in detail about the use of a particular model for a particular injury. They also mention the comfort that the model provides for a child. Understanding these factors will be helpful in looking for the best model that is available in the market. Now that you completely understand the importance of crutches for kids, it is time for you to research so that you will be in a position to understand in detail about different models that are present in the market. You can also check out for pads for crutches and crutch cushions in order to increase the level of comfort a particular model of underarm crutches provides to a child. The research that you will be carrying out should be based on the specifications and the reputation of the company so that you will have a quality product that offers complete assistance to the child during the period of recovery. It is also necessary to look out for the best dealer in your area who will offer you the best quality products and also complete assistance when required. 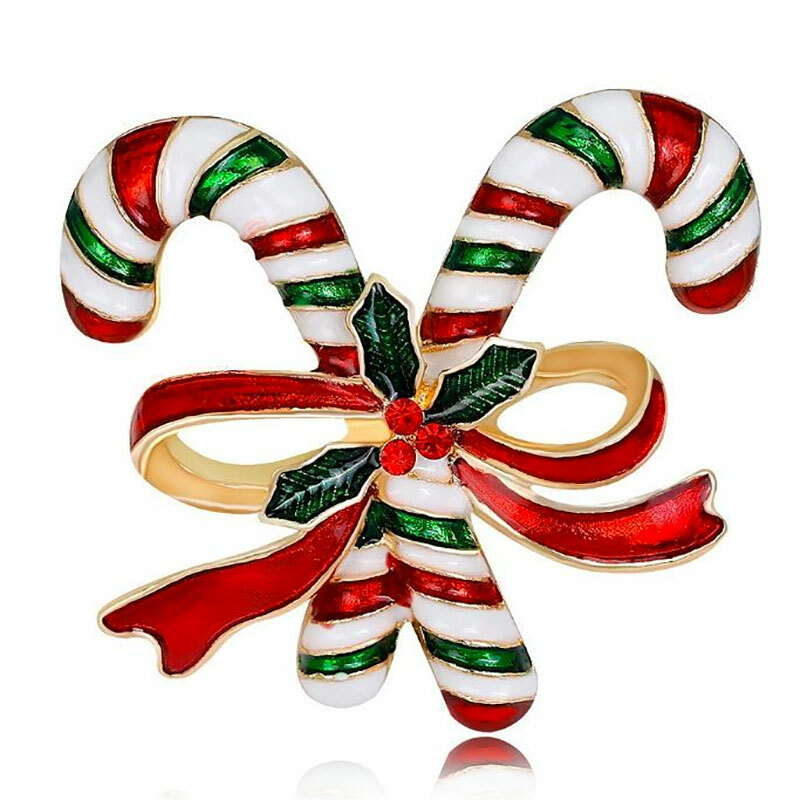 Research can also include the local dealers according to the location which you are looking forward to. There are many options on Amazon for you to choose from. Check out my chart below for a quick overview of their best. It is also useful to remind your child some precautions to avoid incidents. Take extra precautions on slicks and wet surfaces. Remind him/her not to hop around holding on furniture and non-fixed furniture to avoid sliding and falling. Have your child wear low-heeled shoes to prevent slipping off. Rubber sneakers are best. Avoid ramps or slopes or at least be careful of walking on these areas. Remind your child not to remove any part of the crutches especially the rubber tips. If your child needs crutches, it does not mean limiting your child’s mobility. Crutches for kids are offered and available to help your child live as normal just like the other kids.